Letters of Note: How I would like to work for you! How I would like to work for you! 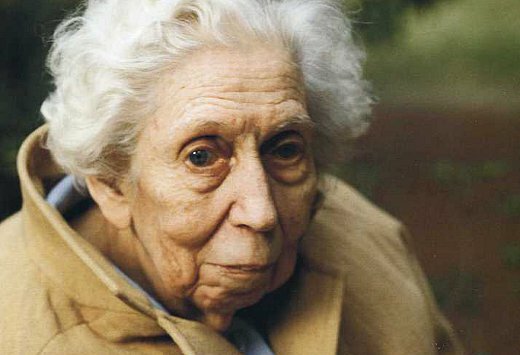 In March of 1933, in an attempt to secure some work, 23-year-old Eudora Welty wrote the following charming letter to the offices of The New Yorker. Incredibly, they turned her down. Eudora went on to write numerous pieces for The New Yorker and later won multiple awards for her work, including, in 1973, the Pulitzer Prize for Fiction for her novel, The Optimist's Daughter. Seven years later, she was awarded the Presidential Medal of Freedom. I suppose you'd be more interested in even a sleight-o'-hand trick than you'd be in an application for a position with your magazine, but as usual you can't have the thing you want most. I am 23 years old, six weeks on the loose in N.Y. However, I was a New Yorker for a whole year in 1930-31 while attending advertising classes in Columbia's School of Business. Actually I am a southerner, from Mississippi, the nation's most backward state. Ramifications include Walter H. Page, who, unluckily for me, is no longer connected with Doubleday-Page, which is no longer Doubleday-Page, even. I have a B.A. ('29) from the University of Wisconsin, where I majored in English without a care in the world. For the last eighteen months I was languishing in my own office in a radio station in Jackson, Miss., writing continuities, dramas, mule feed advertisements, santa claus talks, and life insurance playlets; now I have given that up. As to what I might do for you — I have seen an untoward amount of picture galleries and 15¢ movies lately, and could review them with my old prosperous detachment, I think; in fact, I recently coined a general word for Matisse's pictures after seeing his latest at the Marie Harriman: concubineapple. That shows you how my mind works — quick, and away from the point. I read simply voraciously, and can drum up an opinion afterwards. Since I have bought an India print, and a large number of phonograph records from a Mr. Nussbaum who picks them up, and a Cezanne Bathers one inch long (that shows you I read e. e. cummings I hope), I am anxious to have an apartment, not to mention a small portable phonograph. How I would like to work for you! A little paragraph each morning — a little paragraph each night, if you can't hire me from daylight to dark, although I would work like a slave. I can also draw like Mr. Thurber, in case he goes off the deep end. I have studied flower painting. There is no telling where I may apply, if you turn me down; I realize this will not phase you, but consider my other alternative: the U of N.C. offers for $12.00 to let me dance in Vachel Lindsay's Congo. I congo on. I rest my case, repeating that I am a hard worker.